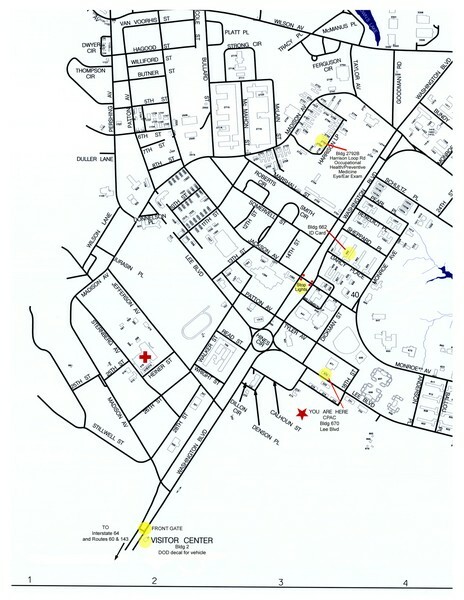 Detailed Visitor Map of Fort Eustis, Virginia. Shows location of Visitor Center, and highlights specific important buildings. 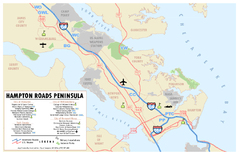 Map marking major highways and cities near this beautiful national park. Clear and descriptive map of this amazing state park.